Apple has received the Chinese regulatory approval regarding the latest iPad (3) model that reached the markets last week, informing the company that the plans on bringing its latest tablet to the Asian country continuingly faces the legal battle over the iPad trademark. Following the regulator’s website, the all new iPad was granted the China Compulsory Certification by the China Quality Certification Center. The certification is one of the most important requirements that are meant to be fulfilled before the sale of the selected product begins. Apple has been launching its newest and hottest products week to months after they are all set for the sale in the U.S. while the company is still to confirm the launch date of the latest iPad sales. Illegal and unauthorized people have been able to manage a smuggled import in some devices and sell them for even higher prices in the market. On the other hand, the stats for the Apple’s iPad sales are facing regulatory scrutiny caused due to an ongoing legal dispute over who owns the iPad trademark in China. Claims from the Chinese Firm Proview, say that the actual ownership of the trademark in 2001and has denied the ever selling off to Apple. The company has already filed lawsuits regarding the complaints with authorities that demand that the iPad sales can’t be continued as for now. This case is being heard the higher court in Guangzhou, China, which deliberately the case. Sun Peilin, an analyst with Beijing based research firm Analsys international. The 3G version of Apple’s iPad will still need the Chinese regulatory approval regarding the Chinese regulatory approval. But even after the success with other devices, the Chinese authorities could still decide to intervene the case hearing and ongoing trademark dispute. 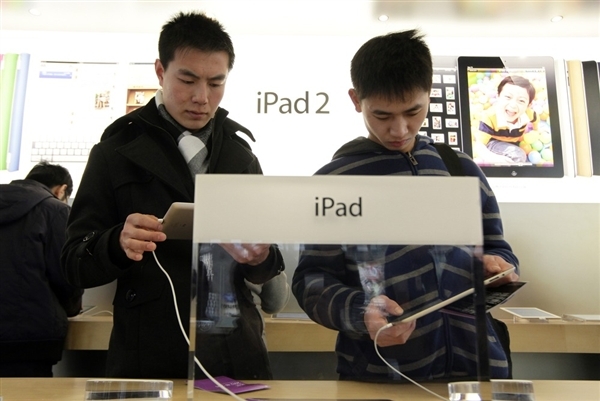 Pin-Chen, the analyst with research firm Canalys, however, It shall be noted that iPads are still being sold through the help of official channels in China. Tang is now expecting Apple to face no additional approval in gaining the permissions to sell its iPad in the country. Apple’s iPad dominated China’s tablet market at the end of the fourth quarter, with a 69.3 percent share, according to research firm Canalys.